Jackpot Joy Bingo - Best Site on Gamesys Platform. Jackpotjoy Bingo launched in April 2002 on Gamesys Platform. The site is licensed by UK Gambling Commission. 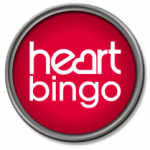 Jackpotjoy Bingo has also been winning many awards for excellence. When you visit their site, you will notice various award winning seals displaying ‘EGR Operator Awards Winner for Customer Service Operations in the year 2012-2013’. They won EGR awards in 2014 as well. If you look at the footer of the site, you will notice other winning seals as well. Not only this, the site has been trusted by 5,000,000 UK members. Upon depositing £10 get 30 Free Spins on Double Bubble Game. 90, 75, Bingo Royale, Bejeweled Bingo. Bingo20, Snap, Super Snap, Bejeweled Hypercash. Slots, Roulette, Blackjack, Video Poker. Is there any VIP Loyalty Scheme on JackpotJoy Bingo? Visa Debit, Visa Credit, Paypal, Mastercard, Maestro, Laser, Neteller, Ukash, MasterCard SecureCode, etc.